The occurrence of a shocking incident sometimes makes you stronger and inspires you for Noble task. As it is true of “Sadhna Society” for mentally handicapped where overwhelmed with the deep feelings for their own Children, few parents of children with intellectual disability got self-motivated to serve similar children in society and joined their hands to conceive Sadhna Society for the mentally handicapped. 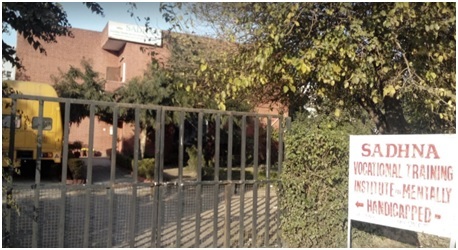 For the purpose to educate and train the special children Sadhana society started their Institute ‘Sadhana vocational training institute’ for the mentally handicapped in Chandigarh. The institute opened up new avenues for intellectually disabled under the expert guidance of educators, physiotherapist, speech therapist, yoga and dance teachers and the parents working voluntarily hard. Children are put to various schemes and programmes with the scientific approach apart from the basic academic. Our students do us proud in Olympics every year by winning in different sports at zonal and national levels. They have brought us proud by winning awards in music and dance competitions Tejaswani Sharma the Music Prodigy is the star of our Institute. Not only intellectually disabled but also suffering from cerebral palsy and visual problems is star or miracle of god blessed with the rare gift of singing. Unable to count from one to hundred but can sing hundreds of songs. 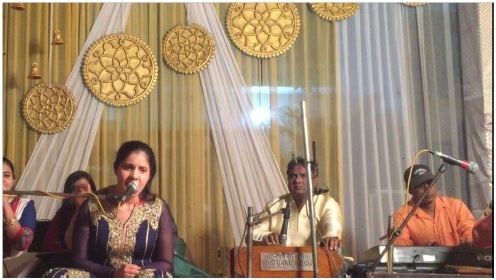 Restricted to the age of 8, unable to walk, talk or even blink her eyes she struggled for life since her birth, but it is music that revived Tejaswani when she was 11. Her mother during the car drive suddenly noticed her humming the tune been played on the car stereo that was a momentus occasion for the family. To encourage her talent she was enrolled in a Music Academy where she learnt number of bhajans, ghazals and classical and folk song. Thereon it was her continuous journey towards her goal to be a professional singer, when she grows up. And today, her dreams have come true she has become a world famous singer apart from winning a number of music competition she got many awards and recognition she was even honoured with President National Award she was recognized by the great artists like Akshay Kumar,Anuradha Paudwal, Anupam Kher and Hema Malini and many others. She entered in semifinals of SA, RE, GA, MA, PA music program, MTV and the in Indian music program on TV. She keeps giving her music performances not only in various parts of India but in foreign countries like London, Canada also.